On July 17, 1902 the world got a whole lot cooler! National Air Conditioning Day, July 17th, is named in honor of Willis Carrier who invented and introduced modern air conditioning on this day in 1902. 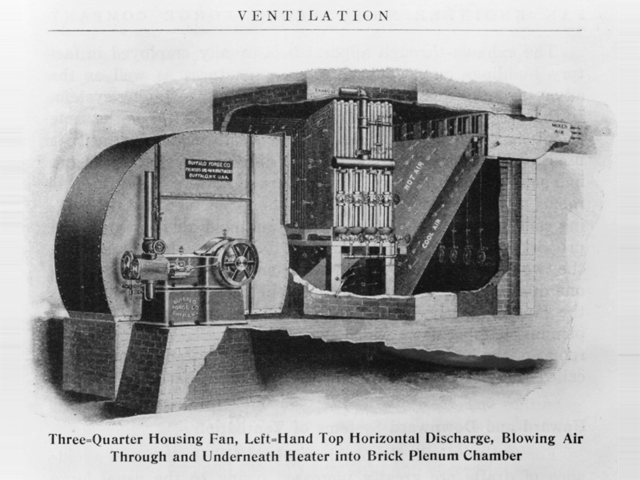 This 1902 schematic drawing shows the likely air-conditioning system installed at Sackett & Wilhelms, a Brooklyn, New York, lithographer desperate to find a solution to the humidity problems plaguing its printing processes. Especially today in Tempe, Phoenix, Mesa and Tucson do we thank our forward thinking air conditioning innovators on this National Air Conditioning Day!